Indian brand Mahindra is hoping to attract new buyers to its dealerships with the quirky and compact new KUV100 – a compact crossover designed, from the ground up, to be perfectly in step with modern consumer trends. 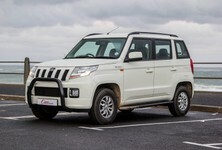 Has Mahindra hit the nail on the head? For more space: The Renault Sandero Stepway is a very strong seller in the local market and with good reason. It doesn't only boast attractive styling, but a comprehensive standard specification and greater passenger/boot space than the Mahindra. For great peace of mind: The Toyota Etios Cross is another popular hatchback-based offering that offers a modicum of crossover appeal. 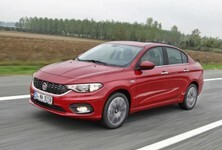 It has a lively engine and good interior space. 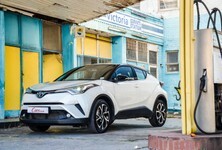 Best of all, it is backed by the highly rated Toyota service network. Germanic solidity, with a dash of flair? The recently launched Volkswagen Cross Up! 5-door model is more spacious inside than you'd think, better made than any of the other cars on this list, but down on standard features. Quirky design elements endow the KUV100 with look-at-me individuality. Small (14-inch) alloys are standard. One thing is for sure, if it's attention you're after, the Mahindra KUV100 will turn a more than a few heads. 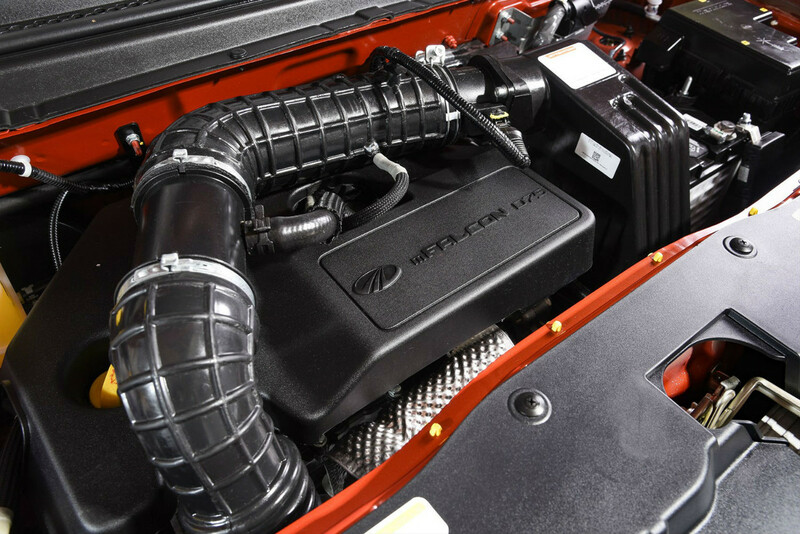 Mahindra has thrown caution to the wind and delivered a vehicle that packs an unbelievably large number of quirks into its diminutive (3 675 mm-long) body shell. From ribbed door mirrors, to hidden rear door handles, accentuated swage lines and those bold wrap-around headlamps, the KUV100 is certainly a love-it-or-hate-it design. We applaud Mahindra for delivering something truly unique in this segment. Put the looks aside for a moment, however, and what you have here is a vehicle that is notable for its compact dimensions. It is not only very short, but also stands relatively high (1 665 mm), which includes a generous ground clearance of 170 mm. It is also quite narrow. 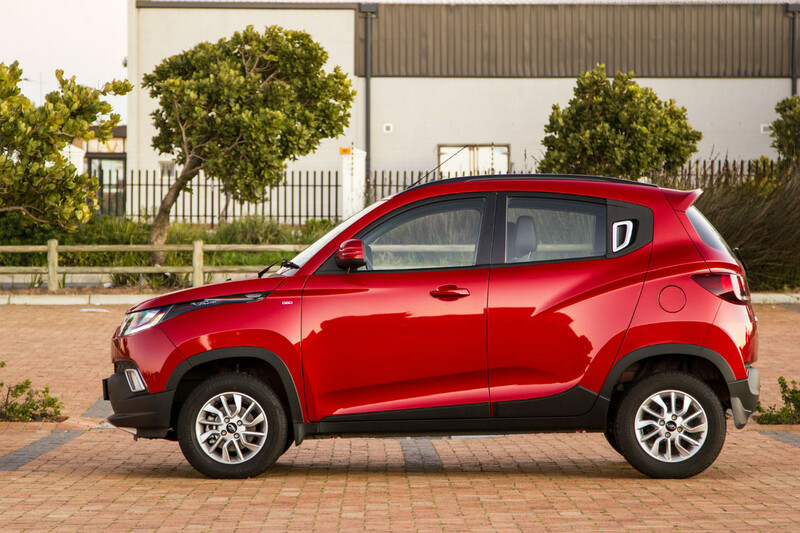 Consequently, the KUV100 looks almost comically tall on its little 14-inch alloy wheels, replete with an abrupt rear end. Neat cabin offers solid quality and lots of features. Plus, surprising passenger space is on offer. Inside these tight dimensions Mahindra's designers have achieved arguably their greatest feat. Not only is the KUV100 relatively spacious for four adults (more on that later), it also offers a neat fascia finished in good quality materials. Yes, perhaps some of the plastics used could be of a higher grade, but in general, the KUV100's cabin feels solidly made and there's some welcome flair on offer, too. The instrumentation is comprehensive and neat, the piano black trim that spans the fascia lifts the ambience, and the controls are all well-placed. We particularly liked the positioning of the gear lever, as it not only falls to hand very easily, but also frees up a lot of space for storing oddments between the seats. Further benefiting space utilisation is the old-fashioned "umbrella-type" handbrake, which also means there is more space between the seats. 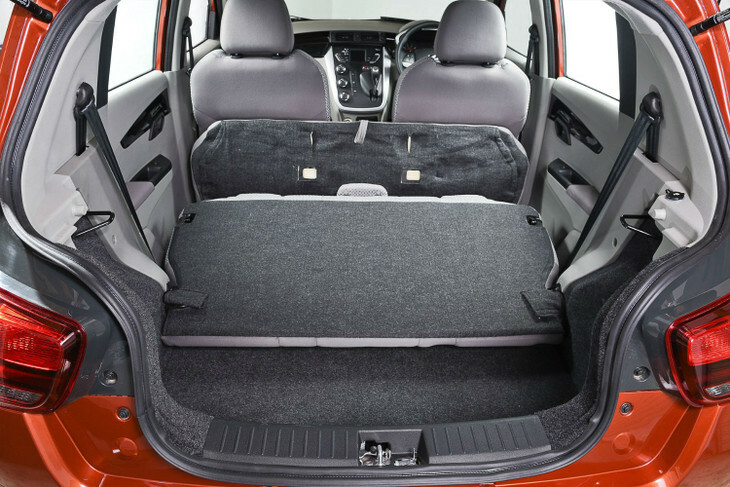 The KUV100's compact dimensions impinge on boot space and ultimate practicality. Given the Mahindra's small size, you may expect it to be entirely impractical and uncomfortable, but the reality is quite the contrary. Front occupants, for example, will have few reasons to complain. The driver's seat is manually adjustable for height, but is already mounted quite high, which contributes to the towering SUV-like driving position that so many consumers like these days. The steering wheel is only adjustable for rake, but most people should find it relatively easy to find a comfortable driving position. We liked the way that the gear lever fell to hand, and the good visibility out of the vehicle. In terms of features, this flagship K8 derivative is well specced. The standard audio system initially looks like a touchscreen unit, but it isn't. Instead, it offers a somewhat fiddly interface. 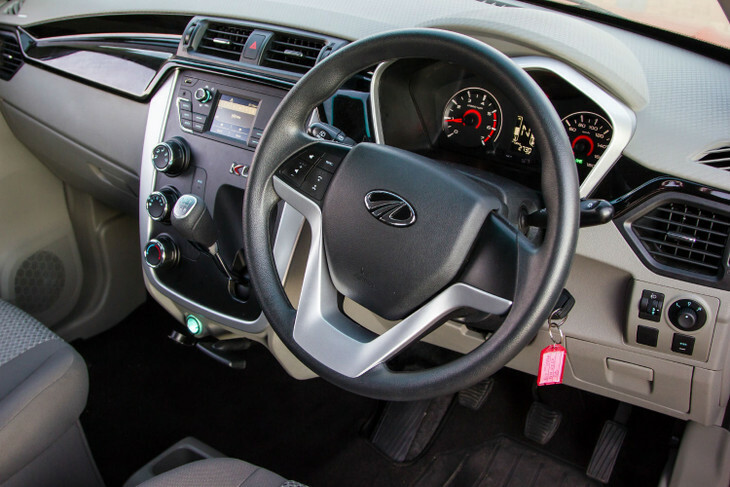 Nonetheless, the functionality is comprehensive, with Bluetooth telephony and audio streaming, USB/aux support included, as well as multifunction controls on the steering wheel. 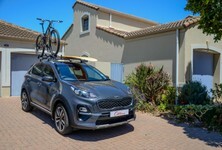 Also part of the package are: air-conditioning, front and rear electric windows, a trip computer and electrically adjustable side mirrors. Externally, this model even features LEDs and fog lamps. Where the KUV100 is found lacking, is in terms of safety. Not only is there no EuroNCAP rating for this vehicle, but it only offers 2 airbags and ABS with EBD. It offers neither an electronic stability system (ESP) nor Isofix child seat mountings at the rear. With the gear lever and handbrake mounted on or under the fascia, the space between the front seats features a convenient storage unit. Moving to the rear seats, we were impressed with the amount of space (especially legroom) on offer. Adults can be comfortably seated. Note, however, that it only has a lap belt for the centre rear passenger and given the width of the cabin, the bench is better suited to accomodating only two (adult) rear occupants. 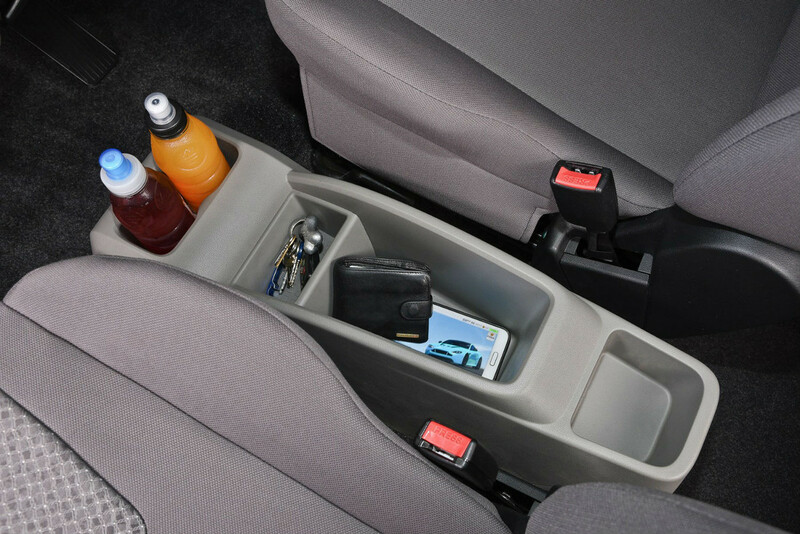 There are underfloor storage compartments in the rear. The news gets progressively worse as we move aft in the cabin, because the luggage bay is very small. Mahindra claims a load volume of 243 litres, which is not too dissimilar to what is quoted for the likes of the aforementioned Cross Up! and Etios Cross, but, in reality, the KUV100's boot is not as usefully shaped or -sized. The rear seat backrest folds down as a single unit (it isn't split) further hampering ultimate versatility and only boosting total utility space to a claimed 473 litres – the latter figure does, however, appear wrong. We believe there's more overall packing space than what this number suggests. 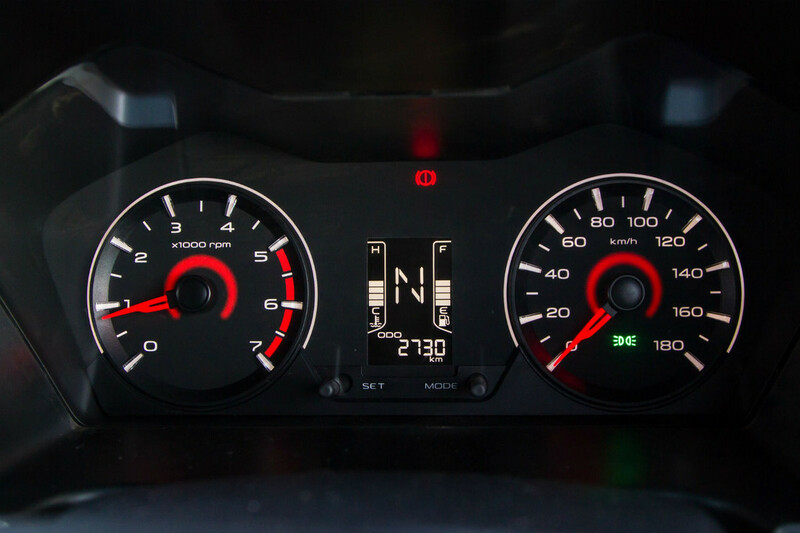 The KUV100's neat instrumentation incorporates a centre digital display. Diesel model cluster shown. 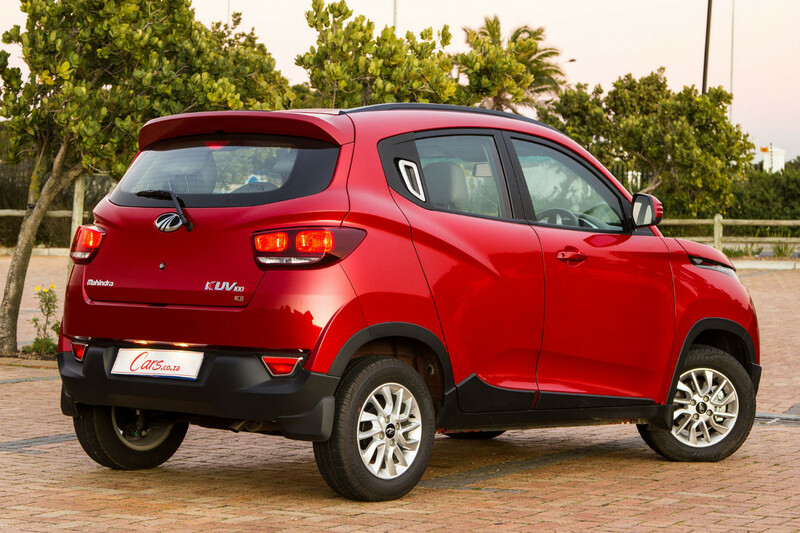 The KUV100 G80 K8 is powered by a 1.2-litre, 3-cylinder petrol engine that delivers 61 kW and 115 Nm of torque. The latter figure is quite low for a vehicle in this category and, more worryingly, is only available at a high 3 500 rpm. Mated to a 5-speed manual transmission with some oddly spaced ratios, this means you will need to work the gears often and cleverly to maintain steady progress. Get used to its ways, however, and you'll discover not only an engine that is very willing to rev, but also a shift action that is remarkably slick and precise (and fun to use). Still, the KUV100 is not as nippy as those vehicles priced around it. You are looking at a 0-100 kph time of well above 15 seconds and a top speed of below 150 kph. Another complaint is a relative lack of refinement – some vibration from the engine permeates the cabin; it is particulary noticable by the driver. The good news is, however, that fuel economy is good. Mahindra claims a combined cycle fuel consumption figure of 5.9 L/100 km, but a more realistic figure is around 7.0 L/100 km. You should be able to achieve a range of around 500 km between fill-ups of the 35-litre tank. 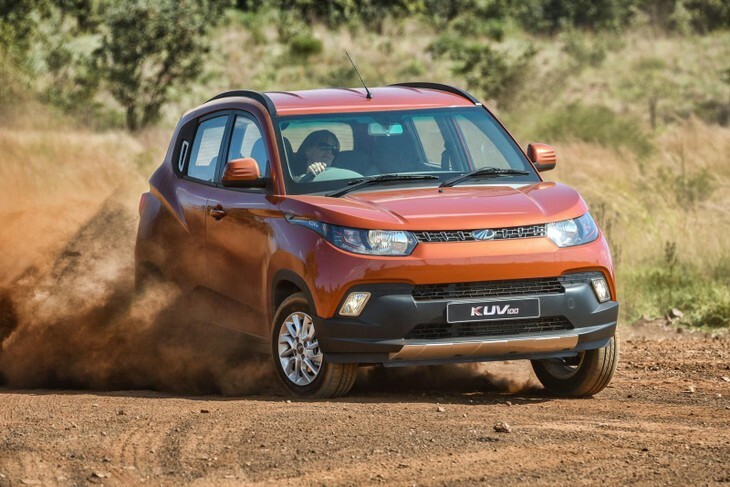 The KUV100 is a comfortable vehicle on gravel surfaces, but note a lack of ESP. With its top-heavy stance and narrow track, the KUV100 was never going to set new benchmarks in agility and dynamism, but its on-road behaviour is probably perfectly in tune with the needs of most buyers. 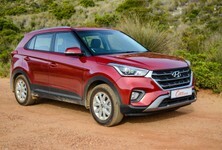 It prioritises ride comfort, and consequently has a soft set-up that contributes to overall comfort levels in the cabin. The suppleness of the suspension, combined with the ground clearance and generously plump tyres contribute to good gravel-road ability, too. It's a vehicle that feels in tune with our varying road conditions, and its suspension is not easily flustered. The downside, of course, is that the softness results in significant body roll in the corners, as well as pitch and yaw under hard braking and acceleration. So it's not a vehicle that likes to corner hard. Then again, nothing about the KUV100 suggests that dynamism was ever a priority. Even the steering is largely devoid of feel, and there's a pronounced lack of self-centering that takes some getting used too. 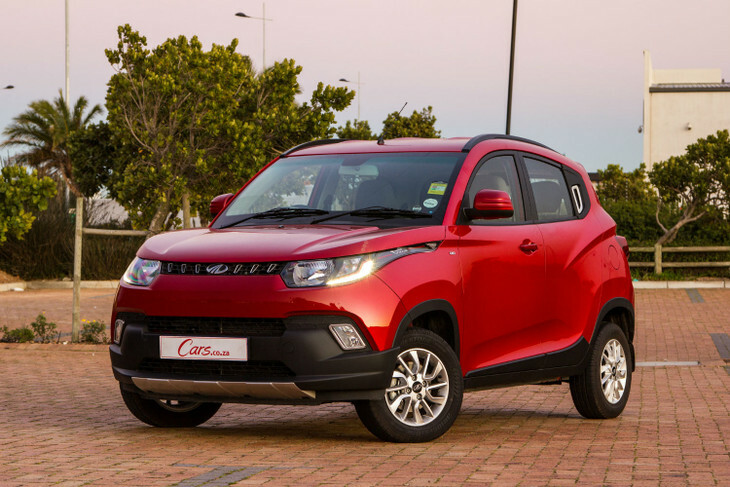 The Mahindra KUV100 G80 K8 sells for R179 995 and is backed by a 3-years/100 000 km warranty and 3-years/50 000 km service plan. Note that it requires servicing every 10 000 km. Interestingly, Mahindra's service network recently emerged as the most affordable (in terms of labour rates charged) following a survey done by data specialists, Lightstone Consumer. Read up on that survey's findings here. Don't judge this book by its cover – the KUV100 offers a good mix of quality, features and comfort. It is very easy to think of the Mahindra KUV100 as a largely irrelevant odd-ball, but that would be a very unfair assessment. 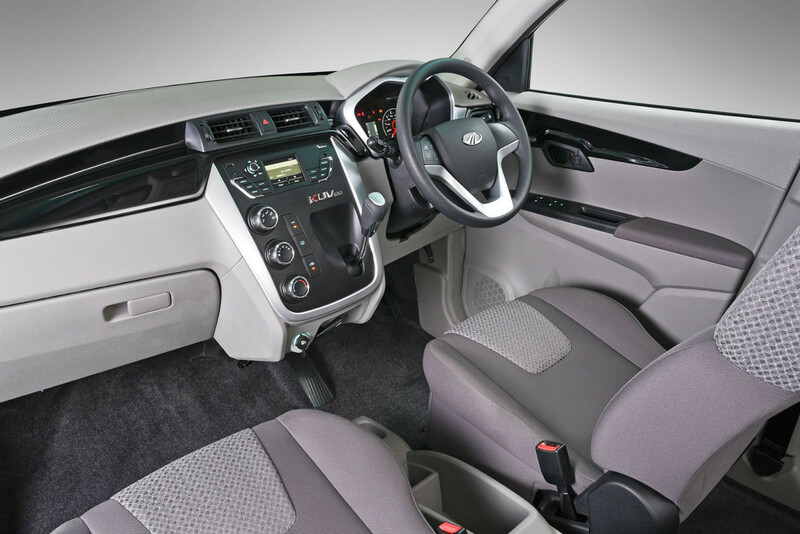 The little KUV100 ticks many boxes – the standard specification is generous, the ride comfort good, cabin space is impressive (given the size of the vehicle), the engine is reasonably efficient and the solid build quality was a welcome surprise. 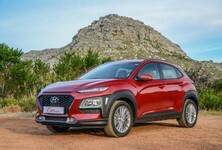 It can't match its similarly priced rivals in terms of performance, refinement, boot space and that most difficult of nuts to crack... brand cachet. Nevertheless, this is a pretty impressive effort from Mahindra and marks the brand out as one to watch. Interested in Buying a new/used Mahindra KUV100?